It’s a question that’s been asked for well over 50 years: Are robots coming for your jobs? The thing is, the pundits declaring that automation is a job killer are missing an important point. The world needs more buildings, infrastructure, and products than it has people, money, or materials to make them. If you look at infrastructure in the developed world, there’s so much that needs to be redone: Bridges are crumbling; roads are in trouble. In emerging countries, there’s new infrastructure that needs to be built: rail, roads, tunnels, bridges. And there aren’t enough raw materials or money available to make things the way they’ve been done in the past. Meanwhile, the world population is expected to grow to nearly 10 billion—with 75 percent of people living in major cities—by 2050. Those people, half of which will be middle class, will generate more energy demand as they purchase more cars, more refrigerators, more things. 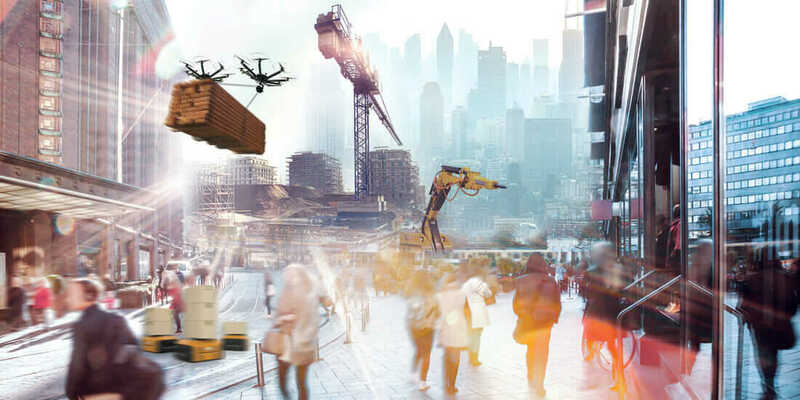 That may sound foreboding for the planet and its strained resources, but in the future of work automation, the increase in building and production could be accomplished with the same or even fewer resources used today. In an automated world, technology will remove inefficiency and waste, and more people will be deployed on more projects. It’s true that automation will kill some unskilled jobs, but that doesn’t mean there will be a shortage of work. Quite the opposite. 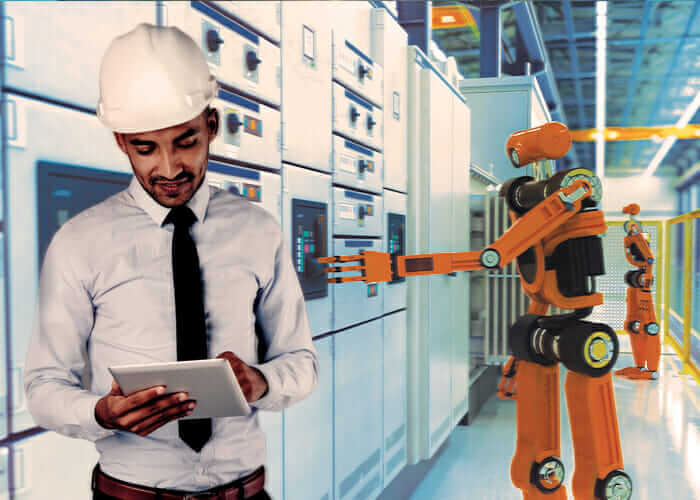 For example, as the demand for infrastructure increases, so will the need for people with skills to customize, build, run, and maintain systems—such as “cobots,” aka collaborative robots—for those new construction projects. And thanks to technology, there will be a decline in construction waste, which will offset the expected cost for the increase in projects. That means civil-engineering and construction firms will be able to build things cheaper, with less waste, and they’ll need fewer resources to do it, which will allow them to make better use of existing resources. By automating certain tasks, companies can take on more projects with the same budget, which means they’ll employ more people as they take on more work. So if a civil-engineering firm does a couple projects a year and moves to a highly automated process, then it could feasibly take on two to three times as many projects annually and hire more people to get that work done. Consider this: When ATMs first came out in 1967, people immediately predicted the end of the bank teller. But by the time ATMs became commonplace in the ’80s, the number of bank employees increased and continued to increase until the number of employees peaked in 2006. By outsourcing simple withdrawal and deposit transactions to machines, banks could expand their customer base and offer new services such as credit cards, mortgages, and IRAs. Consequently, tellers could move on to more lucrative sales positions. ATMs didn’t necessarily take their jobs. The technology enabled employees to grow their careers and solve more complicated problems. The same thing will happen with automation and the future of jobs in the architecture, infrastructure, construction, and manufacturing industries. There are massive constraints in the world: limited resources, the impacts of climate change, and an increasing population. Those constraints make it even more critical for industries to crack the code on building more—better—with less. If construction and manufacturing companies can automate things more effectively, they’ll be able to build more sustainably. For example, robotics applied to the construction process will help people reuse materials from existing buildings and infrastructure—for a lot less money. Rather than trying to teach everybody how to create a sustainable practice, computers will help them build sustainably and reliably, which is crucial. Automation has the power to spur whole new economies around recycling and reusing things. That could happen in the automobile industry: Some people would argue the world needs fewer cars, but what if cars were built cheaper, smaller, greener, electric, and less resource intensive? There are entire fleets of 15- and 20-year-old hunks of metal out there with huge metal engine blocks in them. If car manufacturers could make $5,000 or $10,000 cars—replacing internal combustion engines with cheap, electric technology—how much more rapidly would people retire their old pollutant-producing cars? Electric cars are more electronically complex, but they’re less mechanically complex. 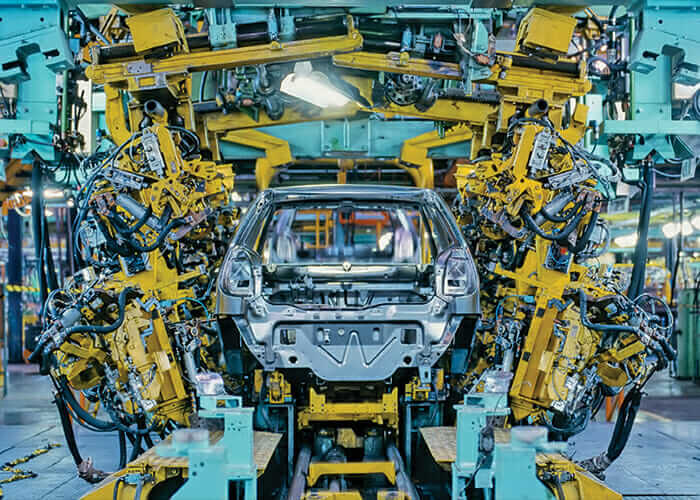 In a highly automated world, manufacturers could refresh the fleet of cars on the planet rapidly while recycling the raw materials hidden in all the cars on the road right now. Automation will inevitably create another explosion of IT technologies like the smartphone industry and the Internet of Things. And it will create opportunities that have been difficult for human beings to fully exploit because it’s easier for automated machines to go first and humans to follow. I’ve spoken about the industrialization of space and the industry that will support it. That’s a classic example of where automation and robotics will extend human capabilities further and create whole new industries. Back on Earth, what if somebody builds a robot that can traverse a road, chew up the asphalt, process it, and repave the road with the same material? Are people going to come up with robots like that? Yeah, you bet they are. And people will have to build and maintain those robots, plan and coordinate the projects, and set up the robots on the sites. 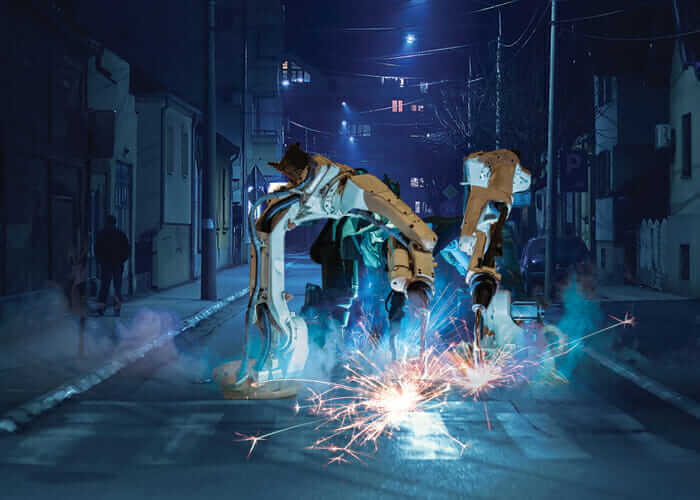 If there were road-repaving and bridge-building robots running everywhere while people slept, continuously rebuilding and retrofitting existing infrastructure every night, what would the world be like? Whatever’s in store for the future of making things, automation is going to open a world of opportunities. Employees will just need to get comfortable standing side by side with their cobot coworkers.